novembre | 2014 | . ::WoW Skins::. BLACK FRIDAY SKIN ADDICTION SALE, wear your skin addiction tag , and get a refund on this EXCLUSIVE SKIN of 50% off! starting tomorrow at 12 am slt! 4 skin tones, cleavage option, shape copy and modify, 3 eyebrow colors. 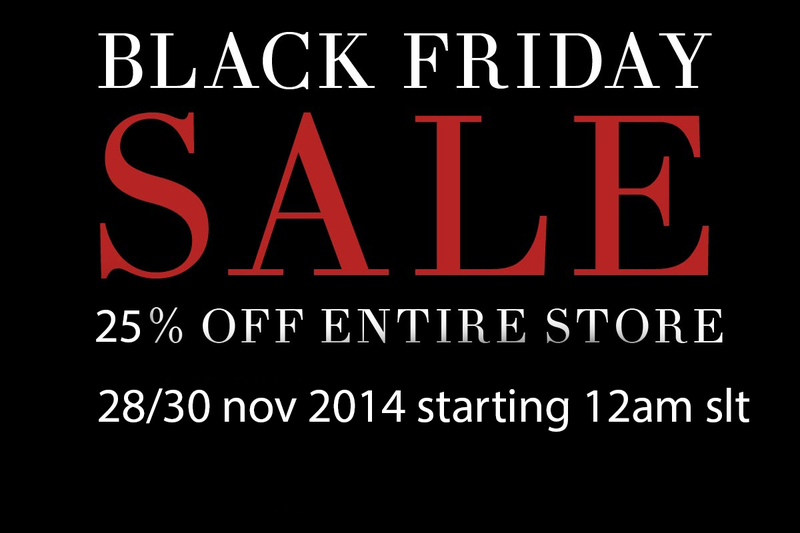 Also we have 25% off on the entire store! For everyone, during the entire weekend! ENJOY AND HAPPY WEEKEND! Take the taxi! Thanks giving day, 50% off on the group fee, and a free gift!
. ::WoW Skins::. NEW TILDA & ELISABETH SKINS ARE OUT NOW! cleavage option, eyebrow base, 3 eyebrow colors included in each one, Blond, Black and red. Lolas, slink hands feet and physique, TMP body appliers, Lena perky body app., Omega appliers (work also for the new banned mesh body), baby bump app, phat azz, banned and ghetto booty app., Belleza venus mesh body appliers. Soon we will also have TMP mesh head appliers available for both. Teleport now to mainstore and try a demo!
. ::WoW Skins::. NEW JAYMA SKIN, ONLY 99L DC EVENT! Lolas, slink hands feet and physique, TMP body appliers, Lena perky body app., Omega appliers (work also for the new banned mesh body), baby bump app, phat azz, banned and ghetto booty app., Belleza venus mesh body appliers. P.S. Some of the appliers are available only at our Mainstore. Teleport now to DESIGNER CIRCLE EVENT! AVI CHOICE AWARDS, VOTING IS OPEN! WOW Skins – Sawsan Secretspy and vote! We also have our manager, Roodvosje Rosse have been nominated as Favorite Fashion Blogger, and of course we need also our votes! You will find her name on this category! P.S. i have nothing against all others great bloggers of course, i can’t take any position on this, i love all of my bloggers for sure, but i simply suggest Roodvosje name, as she is also one of my wonderful store managers.
.::WoW Skins::. 3 new skins for only 99L Each!
. ::WoW Skins::. NEW JULYA SKIN, Suicide Dollz event, only 99L! 4 skin tones, cleavage option, eyebrow base, shape c/m, appliers for slink hands, feets & Physique; Belleza venus mesh body appliers, Lena perky body appliers, wowmeh, ghetto booty and banned booty appliers., Lolas, Baby bump & The mesh project body installers. Demo is of course available! And remember its only 99L! teleport NOW TO SUICIDE DOLLZ EVENT!